It made national headlines back in February 2000 when a twenty-five man Guatemalan patrol captured a four-man B.D.F. and police patrol and accused them of illegally crossing over into Guatemalan territory. Second Lieutenant Romaldo Herrera, Lance Corporal Lucio Arana, Private Luciano Tzub and Police Constable Macedonio Sanchez were captured and put in a Guatemalan holding facility in Petén. Eight days later, the men, who were on Belizean soil, were eventually released following mediation and diplomacy intervention. The soldiers were touted as local heroes back then. Well, Herrera who was ailing for some time and was hospitalized has passed away. The former B.D.F. Officer was laid to rest on Tuesday. 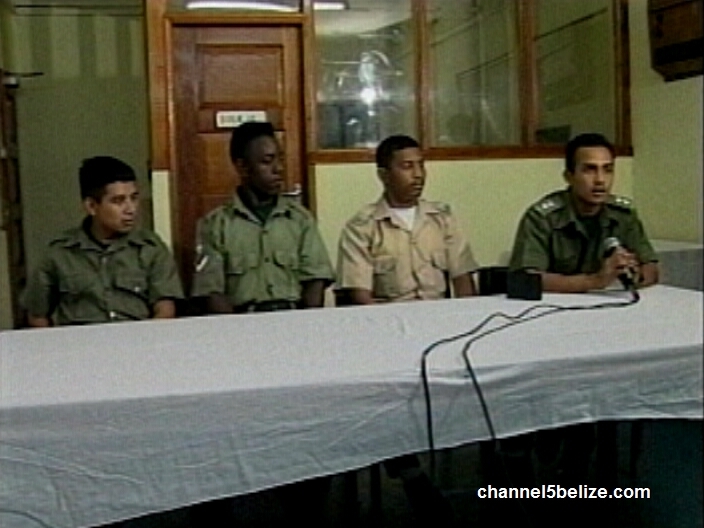 We take a look back the story that we aired in 2000 when the men were returned to Belize.